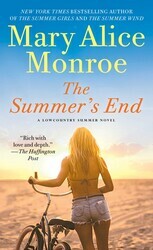 Coming May 19th, THE SUMMER’S END, the long-awaited next installment in the bestselling Lowcountry Summer series. 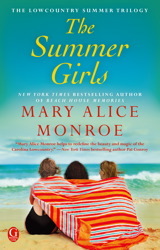 Author Mary Alice Monroe is a master of crafting detailed story worlds connected to the natural landscape of the South that closely examine female relationships, especially the mother-daughter dynamic. In THE SUMMER’S END, half-sisters Dora, Carson, and Harper have challenging relationships with their mothers. The family matriarch, Marietta Muir, or Mamaw, is their anchor and an influential role model, but they’ve spent little time with her in their adult lives or with each other for that matter. Mary Alice is a grandmother and mother of three. One of her children, Gretta Kruesi, is the cover model for the new novel THE SUMMER’S END. She’s a talented artist, professional record-holding kitesurfer, and model living in Los Angeles, California. Gretta is also the inspiration of Monroe’s character Carson, in the Lowcountry Summer Trilogy. We chatted with this mother-daughter duo to see how much life imitates art in THE SUMMER’S END. Keep reading for the entire interview, and check out the ‘making of a cover’ video below! Q: This novel explores the mother-daughter and grandmother-granddaughter relationship. The characters’ relationships with their mothers are unpleasant and strained. How would you describe your own mother daughter relationship? MAM: Gretta and I have always had a special bond. When she was born, she didn’t cry but looked around the world with her huge eyes, taking it all in, curious. For the first year she had stranger anxiety and only wanted me to hold her. I like to think I’m still that special person in her life who is always there to hold her. Mary Alice and daughter Gretta, out and about. GK: Mom and I are very close. I think all mother-daughter relationships have a special bond dynamic. At this point in my life, we’re so close and have so much respect for each other I consider her a friend and sister, as much as a mother. Q: Gretta, your mother is known for writing books rooted in nature, and your professional life journey is also rooted in nature. The difference is you share your passion through art and sport, while your mom does it through literature. How has your mother’s career influenced your life? GK: I think we influence each other. Since I was a child, I was always the one playing outdoors and would much rather study bugs than makeup. I’d be the only one of my siblings who would happily spend my weekend gardening with mom. When we first moved to Charleston, together we volunteered for the Isle of Palms Turtle Team. She went on to write The Beach House, and I (in high school at the time) became a volunteer tour guide for the SC Aquarium. By university, we’d take trips to Costa Rica together to study sea turtles. Meanwhile I’d surf, she’d write. As the years went on we each carved out our craft. What I admire most is how she writes compelling stories that seamlessly weave environmental issues and create an emotional impact on millions of readers who otherwise might not care. 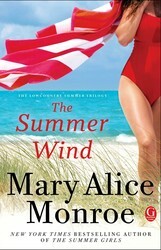 Q: Mary Alice, on the 20th anniversary of your fiction writing career, your daughter gets to be on the cover of THE SUMMER’S END. How did it happen? MAM: I hadn’t planned on Gretta being on the over. She had that photo shot from a different gig and my editors loved it. Gretta wasn’t sure she wanted to be on the cover. I always like to see the book cover in the novel, so I wrote a scene depicting the cover shot where Harper rides her bike to the beach to catch a beautiful Lowcountry sunrise. Q: Your mom has said you are not the character Carson in the trilogy, but you did inspire aspects of the character. Do you see yourself in this series? GK: Carson is her own very unique character separate from me. Some of my ideas are in the novel, but not my actual persona. I actually wanted her to write a story about a kitesurfer! I gave her plenty of technical descriptive advice, but it’s up to her to write the story through her own eyes. I was uncomfortable about it at first because, to be honest, I didn’t really like Carson at first and for sure didn’t want the readers to think her problems were mine . But this isn’t the first and won’t be the last story I contribute to. I’m thrilled for my mom’s success and love working through the character development process with her. MAM: Gretta is a world class kite surfer and she thought it a good idea for me to write a kite surfing character as it is such a popular sport on the islands. She was my consultant for all things surfing and kite surfing in the novel, helping me get that true, personal viewpoint. She also experienced the “shark/dolphin rescue” scene in The Summer Girls. Her descriptions and her love of the sea helped me to create that important aspect of Carson. But that is where any and all similarities end. I never use real people as characters because I have to create a character with strengths and flaws that will carry my themes forward. Gretta taking the waves by storm. Q: Mary Alice, You dedicated THE SUMMER’S END to all of your daughters, including your newest addition, daughter-in-law Caitlin. Why is that special to you? MAM: In THE SUMMER’S END at the very end, Mamaw ponders “Eudora, Carson, and Harper. For all his capricious ideas, Parker had been wise to name his daughters after great literary figures. It gave them each something to live up to. And in her book, her granddaughters were her heroines. She’d never known women with more heart. Or who understood more fully where their home was.” That’s how I feel about my daughters: Claire, Margaretta, and Caitlin. THE SUMMER’S END lands in stores May 19th. Read more about Mary Alice Monroe at www.maryalicemonroe.com and follow her on Facebook, Twitter, YouTube and Pinterest. Just how does a cover get made, anyways? Check out the link below with footage from Gretta Kruesi’s cover shoot to find out! In the second heartwarming installment in The Lowcountry Summer trilogy, it's up to Mamaw to keep the light burning at Sea Breeze to guide the girls--Dora, Carson, and Harper--through the lies, the threats, and the rocky waters of indecision to home. Great interview! I love your books and can’t wait to read the newest one. Love this!! Cannot wait to read…sounds delicious!